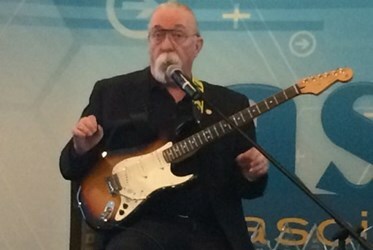 Jeff “Skunk” Baxter wasn’t involved with any bombs during his days as a founding member of Steely Dan or his five-year run with the Doobie Brothers, however — at least since the mid-1980s — his life has been filled with them. Baxter, 67, closed the ASCII Success Summit held in Milwaukee, WI by discussing his transition from Doobie Brother to national security expert. That’s right; the long-time musician with eight platinum records to his credit (he’s been performing since 1968) has become one of the national-security world’s most well-known counterterrorism experts. In this role, Baxter helps both policy makers and defense contractors better understand the way terrorists think and plan attacks. In addition, Baxter works regularly for the Department of Defense and the nation’s intelligence community, chairs a congressional advisory board on missile defense, and has lucrative consulting contracts. Baxter became self-taught in this area, saying, “So, one day, I don't know what happened. I sat down at my Tandy 200 and wrote this paper about how to convert the Aegis weapon system — why it would make sense to convert it to do theatre missile defense because it would be on a mobile platform and give the United States a new role in NATO in the 21st century. I have no idea. I just did it.” He gave the paper to California Republican congressman Dana Rohrabacher, and his career as a defense consultant was launched. According to a 2005 Wall Street Journal article, “One of Mr. Baxter’s clients — General Atomics’ vice president Mike Campbell — likens him to a ‘gluon,’ a term drawn from quantum physics that refers to the particles binding together the basic building blocks of all matter. Contractors and policymakers say Mr. Baxter can see past bureaucratic boundaries and integrate information drawn from a variety of sources. For the record, Baxter didn’t drop a single f-bomb during his talk at the ASCII Success Summit, but he came close. 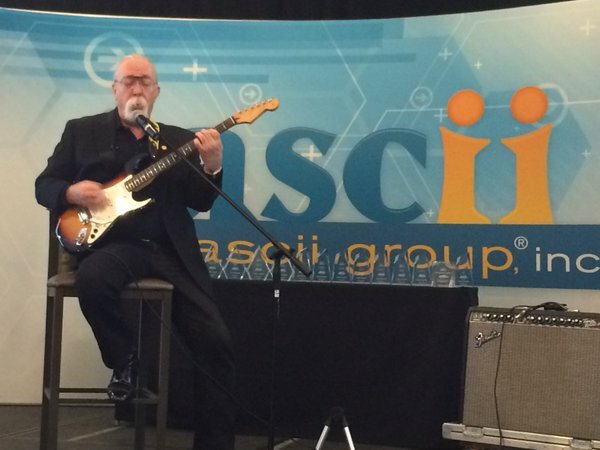 It was that innovative thinking that prompted ASCII to invite Baxter to the Milwaukee Success Summit, and he didn’t fail to deliver. Charming, engaging, and displaying a terrific sense of humor throughout his 70-minute presentation, Baxter started by asking people not record the event as it would allow him to be much more candid. “Many people confuse national security with politics and, because we are immersed in a very politically charged environment, I want to deliver as informative a presentation as I can,” Baxter said. “Anything that is recorded pretty much finds it's way into the public. Baxter the spoke about working on the Strategic Defense Initiative, a proposed missile defense system intended to protect the U.S. from attack by ballistic strategic nuclear weapons. The system, which was to combine ground-based units and orbital deployment platforms, was first publicly announced by President Ronald Reagan on March 23, 1983. Baxter also provided analysis of the 1993 attack on the World Trade Center, recalling there was only a single support beam keeping Tower One from coming down. It was there he worked with Charles Allen, an American public servant notable for his roles at the United States Department of Homeland Security's Office of Intelligence and Analysis and, before that, the Central Intelligence Agency. Baxter started to pull everything he had been talking about to this point together by bringing in the thinking of Colonel John Richard Boyd, a United States Air Force fighter pilot and Pentagon whose theories have been highly influential in the military, sports, business, and litigation. Known as “Forty Second Boyd” for his standing bet as an instructor pilot that beginning from a position of disadvantage, he could defeat any opposing pilot in air combat maneuvering in less than 40 seconds, Boyd changed the world. His unique way of looking at flying and designing aircraft was instrumental in advancing American air combat. During the Korean War, the Soviet MiG-15 and the American F-86 Sabre — each with their own special characteristics — were more or less evenly matched, but the kill ration was eight-to-one in favor of the US/UN forces due to the training of the pilots that flew the F-86. The Vietnam War saw that ratio fall to one-to-one. After Boyd provided input, America developed the F-15 which has a kill ratio of 141-0. “Boyd was hated by a vast majority of he military because he was right and they wanted to build other airplanes,” Baxter said. “But he was right,and he did have a few people in the military and political leadership that believed in him.” Boyd's key concept was that of the decision cycle or OODA loop, the process by which an entity (either an individual or an organization) reacts to an event. According to this idea, the key to victory is to be able to create situations wherein one can make appropriate decisions more quickly than one's opponent. Baxter then talked about the key to success, saying, “I have a few — be born rich is one. And what seems to be the key to success today is to develop an app in your garage and sell it for lots of money. The ASCII Success Summit – Milwaukee is being held April 27-28 at the Crowne Plaza Milwaukee Airport. It is one of nine solution provider-focused conferences ASCII will host in North America in 2016. For more information on ASCII, go to www.BSMinfo.com/go/InsideASCII.